Plaque, or atheromatous plaque, is the term used to describe an accumulation of debris, lipids, fibrous tissue and calcium on the inner walls of your arteries. The accumulation of plaque is called atherosclerosis, and atherosclerosis, notes MayoClinic.com, can restrict blood flow to your cells and tissues. Certain herbs may possess the ability to treat your atherosclerosis or prevent this condition from developing. However, always discuss the immediate and long-term health effects of herbs with your doctor before using them. Plaque accumulation may lead to serious health consequences, including heart attacks and strokes. ScientificAmerican.com states most heart attacks and strokes occur when smaller plaques rupture suddenly, leading to a blood clot that impairs blood flow to your heart, brain or other parts of your body. Atherosclerosis develops over many years, and mild cases of atherosclerosis are often asymptomatic. Important risk factors for atherosclerosis include prolonged high blood pressure, diabetes, obesity and smoking. Several herbal remedies may possess anti-atherosclerotic properties and be helpful in treating or preventing atherosclerosis. According to Dr. Sharol Tilgner, a naturopathic doctor and author of "Herbal Medicine From the Heart of the Earth," hawthorn, ginger and ginkgo help your body maintain normal circulatory function and help reduce your high blood pressure. Other herbs that might be helpful in treating hypertension-related arterial hardening include olive leaf, linden flower, bean pod and mistletoe. Further clinical research may be required to understand the true health effects of these herbs. Ginger may be one of the most powerful herbal remedies in treating or preventing plaque accumulation in your body. Tilgner reports that ginger performs many important health actions within your body, such as boosting your circulation, decreasing platelet aggregation and reducing inflammation. 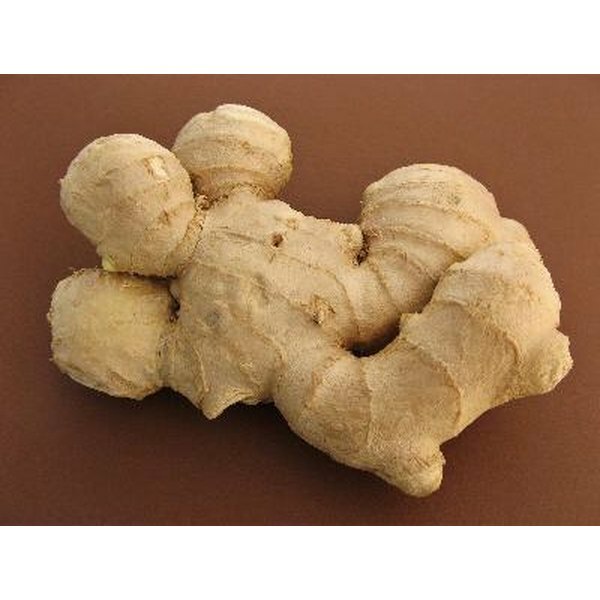 Ginger is an anti-atherosclerotic agent and an antioxidant. This herb decreases your risk of a thrombus, or blood clot. Thrombosis occurs when blood clots in your vessels impair the flow of blood to your cells and tissues. Plaque accumulation in your arteries is a serious health problem. Unfortunately, symptoms associated with this problem are rare, and many people experience a life-threatening health problem -- heart attack, stroke -- before they realize they have atherosclerosis. Herbal remedies, along with proper exercise, a healthy diet and decreased exposure to tobacco smoke, may be one of the most helpful ways to prevent plaque accumulation in your blood vessels. Ask your doctor if herbs are right for you. What Herbs Will Dissolve Calcium in the Arteries?